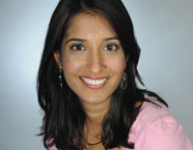 Shivani is the CEO & Founder of InVenture. InVenture facilitates financial access to small businesses owners around the world by providing mobile financial tracking tools and direct flexible financing in order to help these businesses and their communities lift themselves out of poverty. Shivani has a wide array of professional experiences in global health, microfinance, and investment banking. Prior to InVenture she worked health costing at UNFPA and Mergers & Acquisitions at Health Net and Citigroup. She is a 2011 Echoing Green Fellow and 2011 Unreasonable Institute Fellow. She is also a blogger for the Huffington Post and has written on Microfinance 2.0 as well as small business growth in the U.S. She is also on the board of ReWork and Young Women Social Entrepreneurs. Shivani holds a M.P.H in Health Economics and International Policy from Columbia University and a B.A. in International Relations from Wesleyan University. Since TEDxNewWallStreet, Shivani has gone on to be named an Ashoka Fellow, a TED Fellow and one of Forbes’ 30 Under 30 changing Finance.